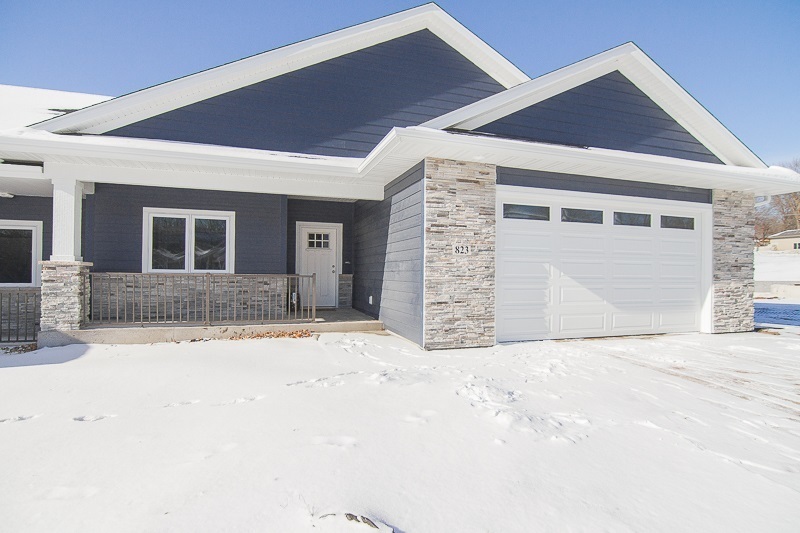 Another quality build by Mellinger and Sons, this 3 bedroom, 3 bath zero lot features maple kitchen cabinets, large island, quartz countertops, under cabinet lighting & SS appliances. The open floor plan provides a spacious living room w/tray ceiling & dining room leading to 14x14 covered patio w/privacy wall. Master bath features double sinks, w-in closet leading to ML laundry w/sink and storage. 873 SF finished in the LL includes a family room w/ wet bar, bedroom, full bath, storage room & storm shelter. Builder: Mellinger & Sons Cons.